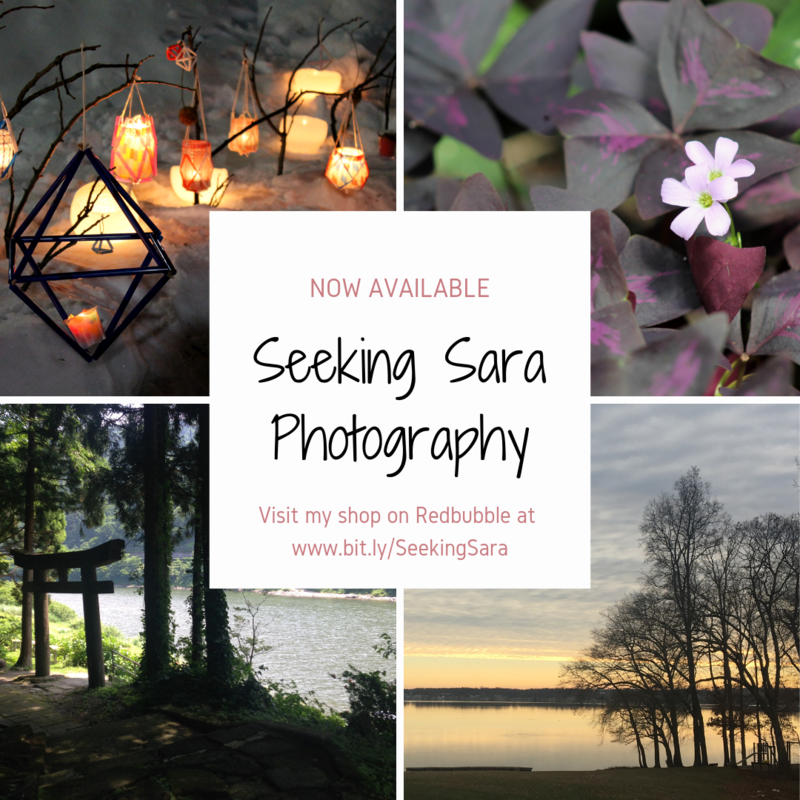 As you may (or may not) have already heard, I have opened a RedBubble shop where you can buy my photography printed on a variety of goods: t-shirts, phone cases, mugs, stickers, tumblers, framed art, and more! You can also buy the prints as is. All of the pictures on my site (unless otherwise credited) are my own photography. If you’ve ever thought “Wow, what a beautiful flower” while reading one of my blog posts, now you can have that art in your own home. You can start thinking ahead for winter holiday presents as well. The sky’s the limit! Please come check out my visual stims–photography from an Autistic’s point of view! 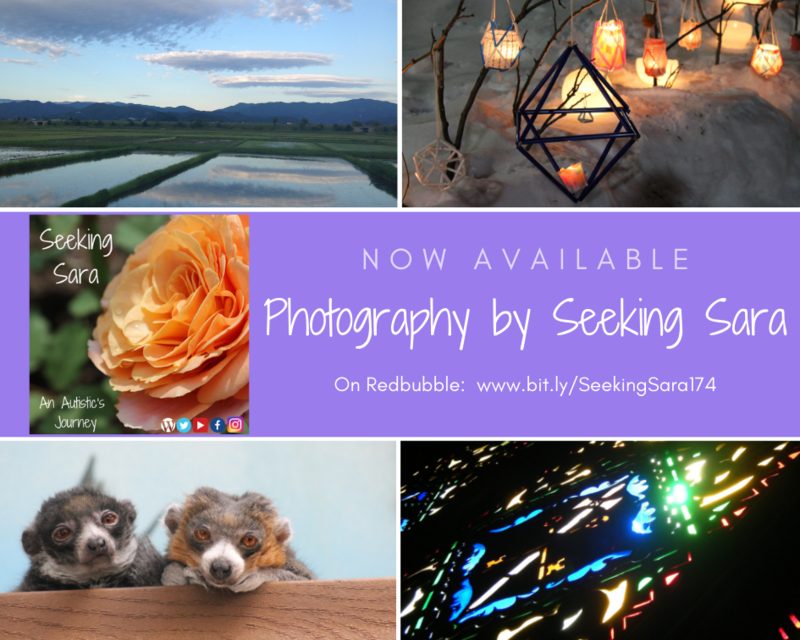 My main focuses are flowers, water, nature, and travel photos from Japan, Korea, Canada, and more! Click the picture below or this link for my RedBubble shop (opens in new tab). I’m really excited to start selling some of my work. I’ve started reaching out to local businesses where I may be able to display my work for sale! It’s been a dream of mine since I was a teenager to be a photographer, but I never had the guts. This is changing now! I feel like this is a turning point in my life where I feel brave enough to share my work: writing and photography. I’m so happy you’re along for the journey. Click here for Sara’s Redbubble portfolio.